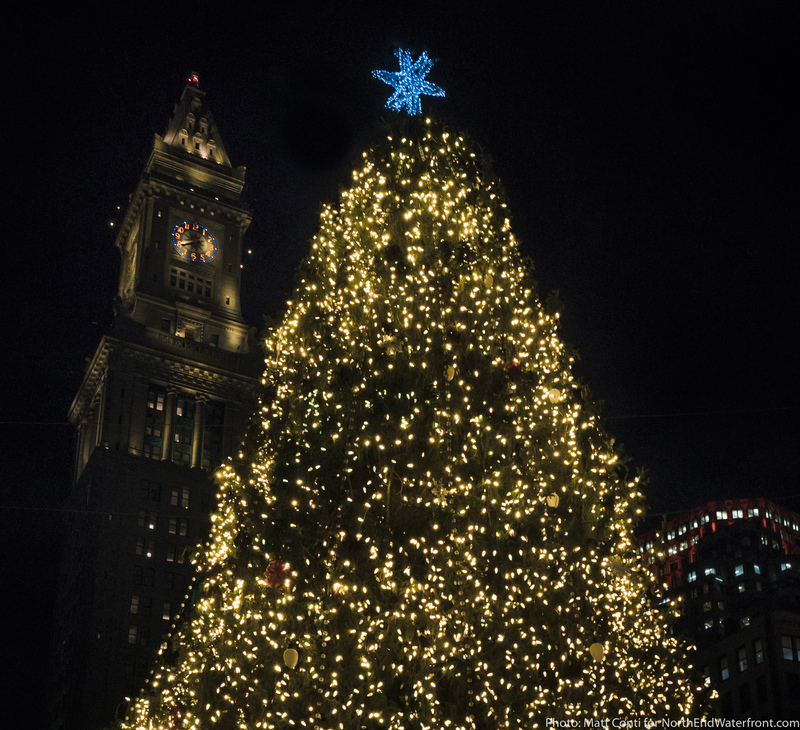 The 85-foot Christmas tree was lit aglow on Tuesday night at Faneuil Hall Marketplace. 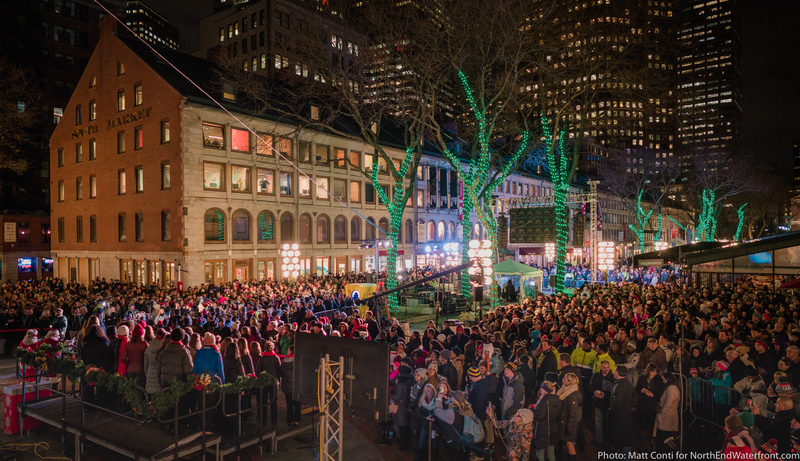 Governor Charlie Baker and Mayor Marty Walsh were on hand for a televised program that featured musical performances by The Boston Children’s Chorus, Blue Man Group, and Newton-native Rachel Platten. The new Blink! 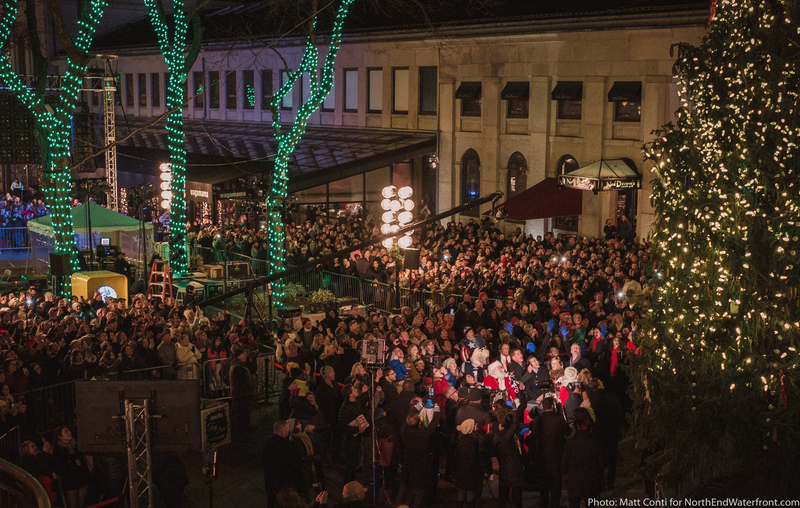 show has been redesigned with more lights and music throughout Quincy Market. 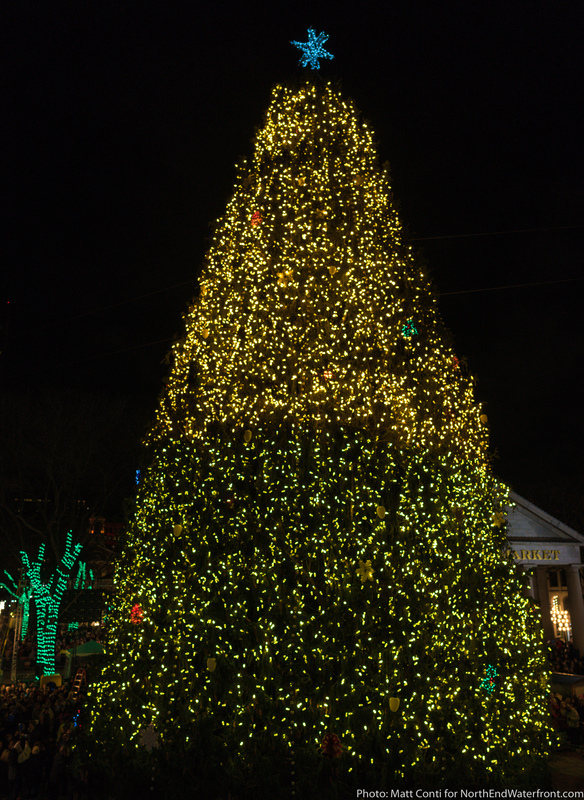 The light and sound extravaganza can be seen daily, 4:30pm – 10:00pm through January 1st. This was the worst event I ever attended. To much drinking and to many Drunks. opinion and im initialed to it.